Imagine you are a successful reporter in New York City and that you are only 24 when suddenly you know something is wrong. You are having several physical issues and mental issues and no one seems to be able to correctly tell you what is happening. 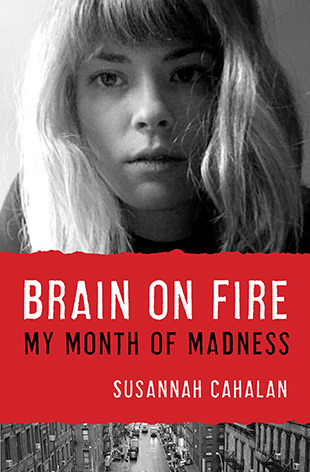 This is what happened to Susannah Cahalan. She had an inflammation of her brain, yet was misdiagnosed many times. People start to believe with her symptoms that she has an alcohol problem, or is schizophrenic. Her dad is the one person who stands behind her and believes there is something physically, not mentally wrong with her. She finally finds a doctor who does one simple test and proves her condition is physical. It is confirmed by another doctor and true treatment begins. It is scary to find out there are so many auto-immune diseases out there that go undiagnosed or misdiagnosed. How many people are institutionalized because of this type of situation? Susannah was one of the lucky ones because she had such a strong support system and they were determined to find the cause. This was both a scary and uplifting book as we find hope in doctors like hers.